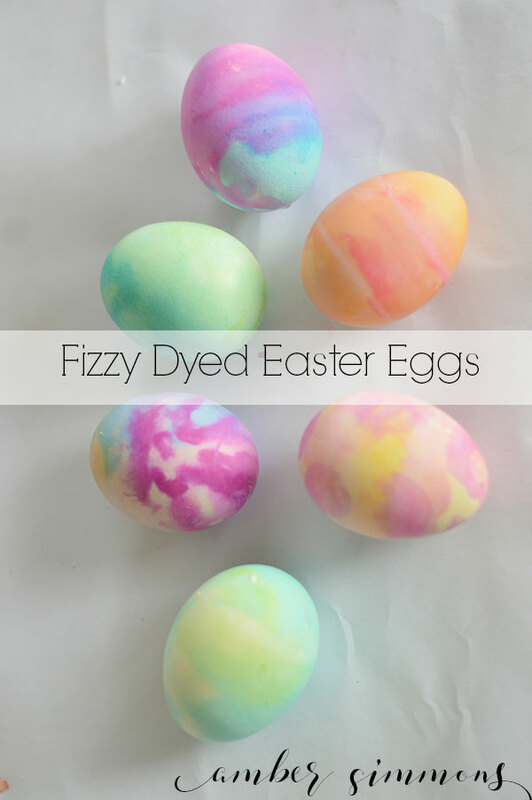 This Homemade Fizzy Easter Egg Dye is a hit with kids and grown ups alike. Dying Easter eggs is a lot of fun. It’s even more fun when you can add baking soda to the vinegar. Who doesn’t like to watch that reaction fizz up? Let me tell you, the little kids LOVE it. So when I saw these over on Lacey Placey I knew we had to try them. 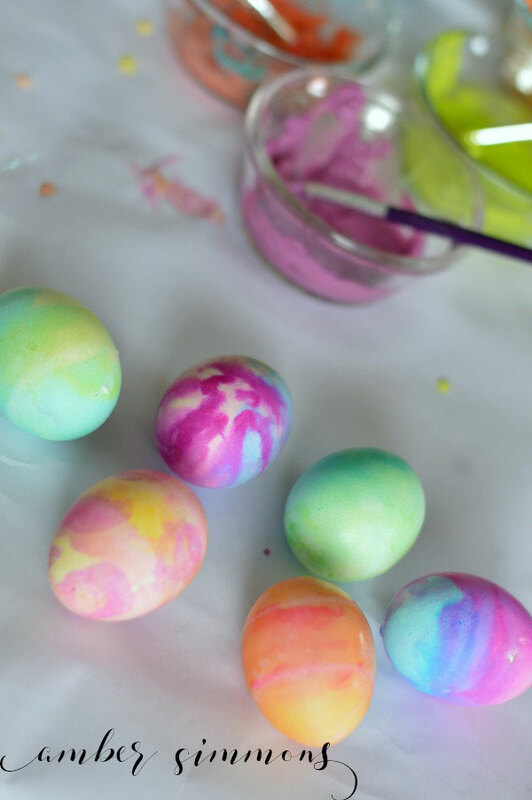 These eggs are a lot of fun to color and can be done with things you already have at home. 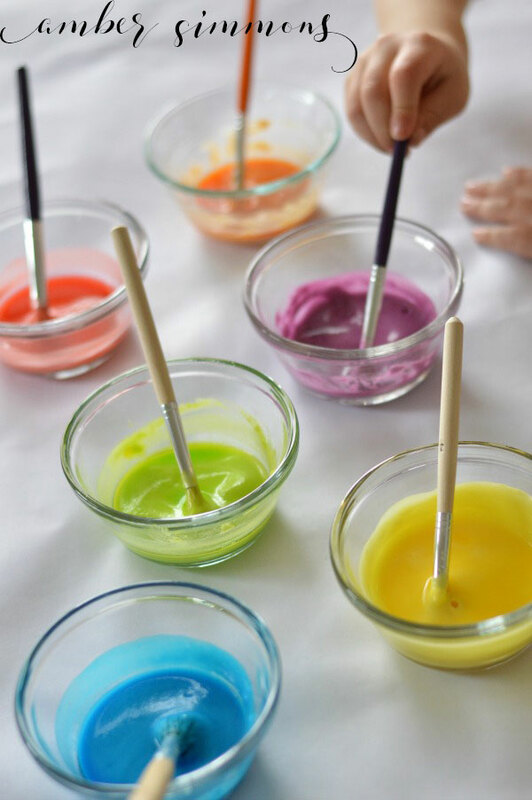 For each color you will mix 1 tablespoon of baking soda, 1-2 teaspoons of water, and a drop or two of food coloring in a small dish. Mix with a paint brush. The thicker the paste the more it will react with the vinegar. Then you let kids go crazy and paint the eggs as much as they want. Once they are good and covered with the paste, place an egg into a bowl. 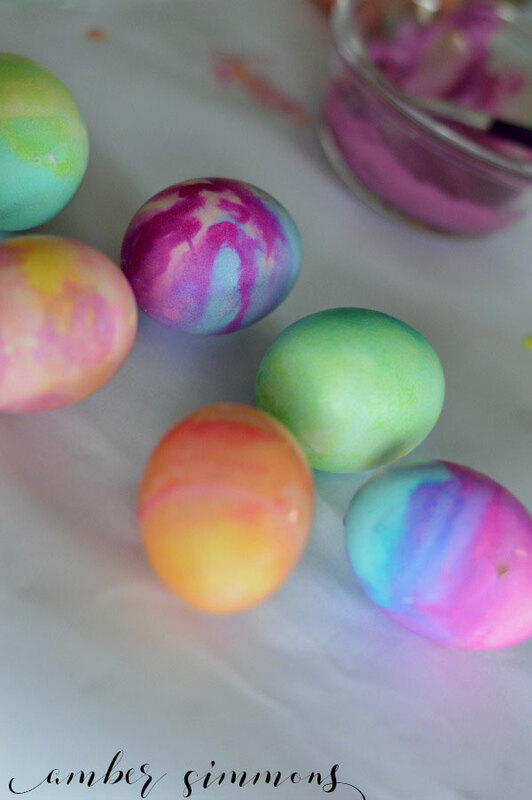 Add a drop or two of food coloring, or maybe a few, to the egg. The more drops you add the more intense the color will be. I liked the results better when we added 3+ drops to an egg. Then comes the fun part. Very slowly add the vinegar to the backing soda. You can add it a few drops at a time if you have a dropper or baster. Otherwise you can slowly drizzle some from a measuring glass or cup. This is where the marbling effect comes in. The slower you add vinegar the more marbled it becomes. When the reaction stops you take the egg out of the bowl, dry it off with a paper towel and put it back in the carton. Be sure to rinse the bowl in between eggs or else your colors will mix and get muddy. It’s fun to play around with different combinations of colors, numbers of drops, and amount of vinegar to see what you end up with. 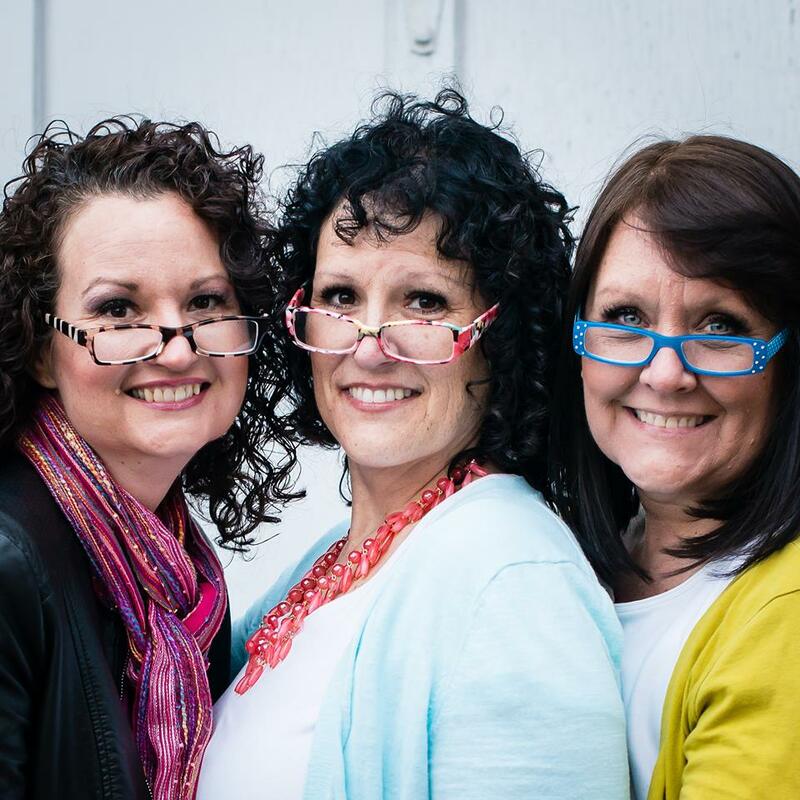 Be sure to follow me for more fun ideas and check out my other Easter posts. 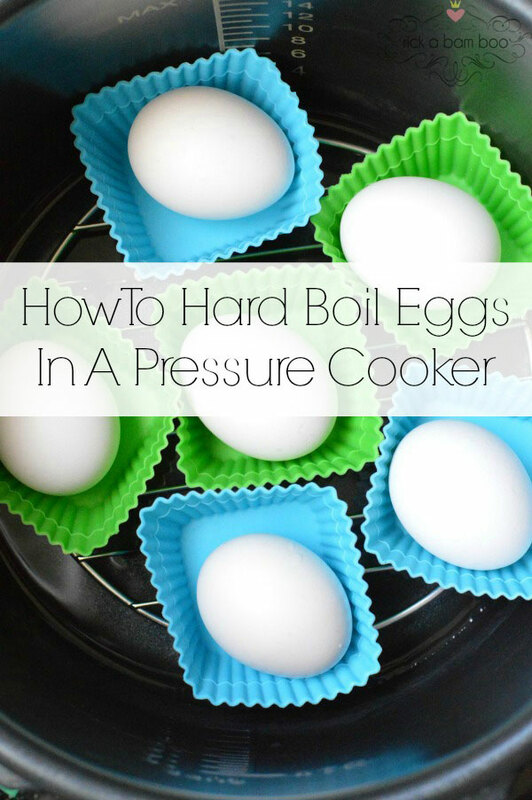 Did you know that you can make hard boiled eggs in your pressure cooker?